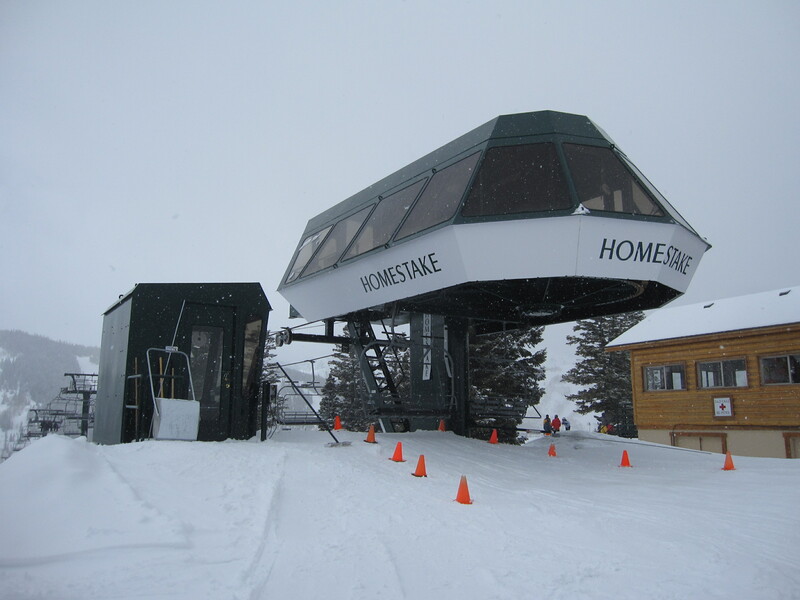 Deer Valley’s Homestake lift is less than twenty years old and eyed for replacement with a detachable version. When Alterra revealed its hefty roster of 2018 upgrades on a Monday in March, Deer Valley Resort was noticeably absent. The Utah flagship has averaged nearly one new lift every year since its 1981 inception but is coming off of a five year drought since the Mountaineer Express was added. Now, as the Vail-owned owned neighbor builds a detachable beginner lift above Canyons Village, the Park Record reports Deer Valley is finalizing plans to replace the Homestake quad with a detachable of its own this offseason. Garaventa CTEC installed the current Homestake lift, which runs roughly parallel to the downhill section of the Silver Lake Express, in 1999. It is only 1,720 feet long but serves as a key link between Bald Mountain and Bald Eagle Mountain. The new machine would be the sixth shortest detachable in the U.S. and might re-use some components like towers. It is almost certain to be built by Doppelmayr USA, which is based just down I-80 in Salt Lake. The resort says it is still finalizing plans and lining up permits but it’s looking like there will be only a handful of fixed-grip chairlifts remaining next season at Deer Valley. With this likely addition, 2018 is now pacing nearly 30 percent above last year for announced new lift construction with a very busy summer ahead across North America. Why spend any money on this? It’s a less than 2000 foot lift and you don’t even ski runs off of it. Red Cloud or Mayflower would’ve made much more sense. This will help getting folks off the mountain quickly and back to the the base area at the end of the day. Options are either downloading on Silver Lake, or riding up Homestake and skiing down. The chairs are already so close together that it’s not going to move more people. Many at Deer Valley are wondering why they’re wasting money on this. A Homestake high speed quad is just ridiculous. Deer Valley should have gone with a fixed grip 6 pack. Do fixed grip 6 packs even exist? The Homestake upgrade shocks me. It’s not even 1,800ft long, and already runs at 2,800 pp*h^-1. Upgrading it to HS won’t even save 2 minutes of ride time. There are better lifts that Alterra can put money into even at Deer Valley, like Mayflower, or the Lakeside expansion. And what about the west coast? J1 at June, 2 and 16 at Mammoth, and Red Dog at Squaw all seem like they’re desperately in need of upgrades. I can see punting on Red Dog, because the Squalpine Gondola is supposedly going in for 2019, but all of the former Cali4nia resorts have been as long as Deer Valley without a new lift, despite much larger crowds. How does Alterra share money between resorts? I know it’s been talked about that Big Sky keeps much of its money, which is why they’re getting flagship lifts, while Sugarloaf, Loon, and others may need the upgrades more. If it’s basically just DV paying for this, not corporate, it makes much more sense to me. I know that Deer Valley isn’t unlimited on the Ikon pass, so it seems to me that they may not be as integrated into Alterra as Mammoth, Squaw, or the Intrawest resorts. The eastern resorts will be sitting pretty after 2018. A the bigger companies have a history of using the eastern resorts as cash cows for western investment and don’t upgrade anything there So Alterra is doing things right there. If Deer Valley is paying for this then why are they upgrading Homestake over Red Cloud or Mayflower? Looking at the expansion map it makes zero sense to ever build. Park City gets very little natural snow and the expansion terrain will be even lower than their existing terrain which is already low enough that it rains in the winter. I’m not really sure about Mammoth, June, or Squaw, but they get more visits and need more lift capacity. Winter Park also needs even more than just the gondola. Clearly there are better places for Alterra to spend their money than on this. Maybe next year they will upgrade Viking to a 28 person 3S-Gondola. That’s definitely what deer valley /Alterra needs right now. I hate to sound like a selfish person, but I think this is a horrible idea and that the money would be better spent at steamboat, stratton or squaw. We [at stratton] have an entire massive trail pod (which makes up a huge part of our acreage) with a 5 minute atrocious runout and 10+ minutes of lifts to get back up to the top. A full lap in the trees (or just a normal lap if you aren’t a good skier) takes 20-30 minutes. If they put in a new HSQ up kidderbrook, that would be 10-20 minute laps. It would also help spread out skiers and increase capacity, so they could sell more tickets. This DV HSQ saves less than 2 minutes, doesn’t spread out skiers, doesn’t increase capacity, and doesn’t sell more tickets. I’ve never skied Squaw or steamboat, but from what I’ve observed, squaw could use a HSQ on red dog, silverado, solitude, and steamboat could use morningside and a six pack at thunderhead. I’m not sure a Kidderbrook HSQ makes sense unless they add a couple more trails back there and have more snowmaking capacity to get more of that part of the mountain open earlier. Also Rising Star and Rick’s Catch 22 need snowmaking. I want to see how things turn out with the new Snow Bowl lift. I was kind of surprised they made it a quad rather than a 6, but then I realized it isn’t anywhere near as centrally located as URSA which seemingly everything eventually leads to. When that stuff is done, a Kidderbrook HSQ with a couple more trails back there would be great. It would bring more people to an underutilized part of the mountain which would mean fewer skiers elsewhere. I’ve been to Steamboat and I can say that the new Sunshine lift really needs to be built ASAP. Could be a relocated Thunderhead if that goes to a 6 for more out of base capacity. When I was there, Sundown and Sunshine had the longest lines and having that extra lift would take people off of both. The second Pioneer Ridge lift would be really cool, but can wait because they’d need to have snowmaking on the trails if they wanted to build it. It would be lower elevation than the current Pony Express which didn’t open till February this season. Theoretically yes but it would make little practical sense. Sterling Express, the high speed lift you are referring to, runs up to the peak of Bald Mountain. Unless Deer Valley decides to put a midstation in the Silver Lake Village area, which wouldn’t work because that area is quite crowded, then simply running a highspeed from the summit of Bald Eagle to the top of Bald doesn’t really make sense. The point of the upgrade is to transport skiers from the Silver Lake Base to the Snow Park base/top of Carpenter Lift faster. I was confused, I meant connecting it to carpenter lift but i thought home-stake ran the opposite direction going up to sterling. Pure speculation – but i can imagine that there were certain sweeteners that Deer Valley negotiated into the Alterra acquisition and this could have been one of them. Regarding Mayflower, again speculation but it could be a similar situation to what Squaw/Alpine has which is that they will not replace Red Dog/Hot Wheels until final alignment of California Express is determined. In case of Mayflower they probably need to get to a final master plan of the lifts over there before they replace Mayflower in case it needs to be realigned. Mountain biking. Now you’ll easily be able to access Bald Eagle Mountain trails without having to climb. OK I will let people know in my option why this is a good thing. First off remember Deer Valley has a reputaion that has not changed in 40 years now. They like to have a high class and pamper skier on their mountain. You go to Deer Valley for the experience not just to do laps. Remember they are one of only 3 that still don’t allow snowboarders on the mountain, and yes I have seen some people try to board and aren’t allowed past the coral. 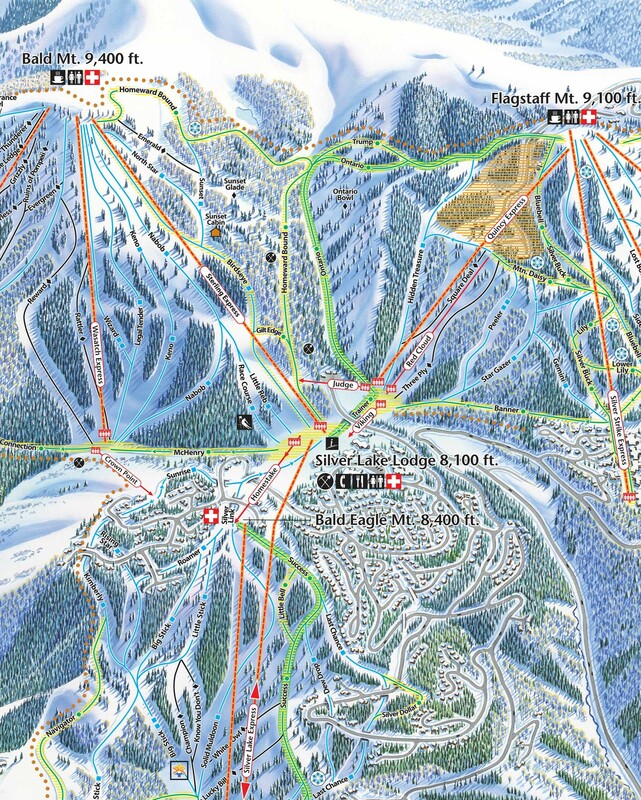 Second If you look at how Deer Valley is lay out you see there are really only 3 base areas. Snow Park, Sliver Lake, and Empire. All three have bus service to these lodges and allow anyone to get back to the trainst center. But the only problem with all the buses is that you have to go down to go back up. Now if you are skiing you can bounce between all three lodges with ease by going up mostly HSQ. The exception is Homestake, or Crown Point. Both are very slow Crown Point use to run faster until the electric motor was replaced and now seem to be about the same pace as Homestake. Both may only serve a few trails but its your last impression of the whole mountain is riding on a slow and mostly stopping fixed grip. Homestake for lack of a better term is limited on how fast it can go, and I don’t believe Peter’s numbers for PPH, because yes the chairs are spaced close but I can walk faster then it is going at any one time. I timed a few laps this winter on Homestake and they where closer to 10 mins from bottom to top and most of the time it didn’t stop, but may have slowed down some. I have skied DV for now 25 years and have seen most of the are change for the better, I know when I first got out to Park City and skied DV Carpenter was the only HSQ on the mountain and let me tell you the rest seem fast at the time but after only 10 laps in the morning or afternoons where done, then lots of changes happen, some good, some corrected and some just stayed the same. I will imagine that everyone here could say that Quincey should have stayed a Fixed Grip and so should have Ruby, due to the fact that they only move people to the top of the same mountain from different direction. But that’s not the way people at DV see the mountain, They would like to move from base to base without waiting on Slow, Aged, and sometimes unreliable Fix Grip Triples that where apart of the beginnings of DV. People have changed the opinion of the staff at DV when something does not work, even if they know its going to expensive to fix and put right, in part look at Mountaineer express, was a fix grip quad that nobody in their right mind would ski more then a few laps due to weather or fatigue. DV thought this would not be the pod people or ski school would use, but it turns out people pushed for the change and now DV fixed it. Homestake will be the same Ski schools use this area for people the get a better sense of pitch on the hill, when they have mastered the Judge/Viking area, or Burns/Snowflake area. You need to think of Homestake as the next step for people to keep skiing. Otherwise people will not ski and then we will all lose are local mountains. Lastly I think this is DV flipping the bill for becuase this was in the works well before Alterra was announced. I know a few people who work at DV and told me about it back in December. This may seem like DV flaunting its status but I think its more just DV correcting a wrong to a right. Is it going to be short, definitely, is it a waste not so much, will it move more people, maybe, but will it make a better impression at the end of the day knowing that when your tired but have enough in you for on last run you can now do it, and not feel like a loser by taking Sliver Lake Express. Should this lift go to RED CLoud, yes it would be great there, but not sure it would get the use it will at Homestake. Should this lift go at Mayflower yes it would be GREAT and allow people out in to new areas and not worry about riding a 13 min lift to get you back to easier territory. But again with the expansion that may happen in Mayflower bowl, that new lift maybe a few more years down the road. SKIING STIG – Given you clearly have a lot of Deer Valley history, one question – why did not make the Silver Lake Express a Gondola when they replaced the Clipper lift? Seems like a transport lift to me. Yes in short it is a transport lift more then a just upload like Carpenter, but…. Yes I do have some history with DV, and your question is great, I will give you a little history about Clipper/SLE. CLipper when it was put in, was a Triple that only ran from 8:45ish to noon all winter long. Back in the day there wasn’t the summer riding that there is now. But near the end of the 90’s more and more summer activities are happening all over the mountain, and riding a 13 min lift was not going to work, what to replace it with, hence your question. When Jordanelle was put in, it was more of an experiment, and it has failed. Ridership on Jordanelle is minimal at best right now, minus the first thing in the morning at 9 am till 9:30 when most people are just dying to get out of Jordanelle base area. Now any other time this lift would have been better if it was a pulse gondola, If I see more then 10 people not in a group setting exit Jordanelle at any one time, I would buy you a beer. Most people on the Jordanelle are site seeing the millionaire homes, and could care less about riding a gondola or a chair. With that in mind and the fact that from 8:45am until 9:00 SLE sees the most people on it. THis is becuase people can get to Wastch/Sultan or Quincy to Empire/Lady Morgan first thing, or people are riding it down to get their kids in to ski school at Snow Park. So in that respect a gondola would work great BUT….. The other factor involved with not going with a gondola is WIND…..The Snow Park side of DV sees little wind until the top, The Sliver Lake side sees a lot of wind. This winter I was out at DV and Anything South (hence above Carpenter) was shut down INCLUDING Homestake and Crown point, Sliver Lake was running at 1/4 speed and stopping a lot due to wind on SL side of the hill. The Gondola would not have even run, and in fact the Jordanelle didn’t run for 3 days after that wind storm and it faces west. I never heard while this happen but something tells me cables where unhappy for some reason. Even the buses where having issues going to the other base areas because of the volume of people. this wind screwed everything up all morning and afternoon. In short DV has a bad taste in their mouth about gondola’s and I’m not sure i would see one at DV again in my life time. Thanks for all the info and history. Looking at the trail map, it seems Jordanelle is mostly a real estate lift. And that means it won’t be used except by maybe a few dozen people regularly. Most other people just wander their way over there to look at the trophy homes as you stated. The other issue I see with it is that it’s extremely low elevation. What concerns me about the expansion (as an Ikon Pass holder I’m paying for it) is also the low elevation. The highest elevation terrain that’s part of it only goes as high as Mountaineer does now, which is already below 8000. There’s a good portion of terrain that will be about the elevation that the lowest section of Jordanelle is which is under 7000, and there’s a bunch of terrain they want to build that’s even lower than that. Park City already doesn’t get much snow, and if they build anything over there, they’re going to be getting rain every season just like in the east. In a warming climate, I see that as a very poor investment, regardless of how profitable they might be. SKIING STIG – super helpful. Thank you. One more. What is your POV on the Mayflower expansion? Do you know if there is good skiiing over there? Should people be concerned about low elevation towards the bottom perhaps? Thanks again. The Mayflower Expanation, has been in the works now for about 5 years, (so Ikon passholders will see some expense from this, but only lifts no land). History on this, Deer Valley has always own this land that is lower Mayflower, and in fact has an off ramp from US 40 already there with Mayflower Jordanelle in place. As for the skiing, if it is anything to go by, I believe this skiing will be steep, but also have some gentle valley floor runs, and this would be in part of the above Mayflower & sultan runs, but also throwing in the Jordanelle runs as well. Your consurns about low elevation are somewhat well founded, but you need ot take in to effect one of DV’s biggest assesses which is they have a lot of water rights North of say 225 million gallons, which is a lot of snow that can be produced. But as you think it is going to rain below say 7000, I personally have not notice this happen in Utah, but i know in SLC it will rain and snow in the mountains. The other thing i have notice while skiing in the bowl is that it maybe sunny but very cold due ot the trees in the area, which hopefully will be staying for the most part. Mayflower will be above 7000. Not much but will be. Jordanelle is going to be the lowest part of the mountains 6500 ft. And this was in part ot accommodate the show Homes and enjoy their ski in ski out life that will only be 2 weeks a year for the most part, Mayflower expansion will be in the area closer to 7000, due to the fact they can not go as close to US 40 up the hill due to where the valley runs in to a slight hill blocking its view. .I know they are thinking about selling lots in the Mayflower area as well but nothing is confirmed yet. On a side note i think the old Homestake may find a new home as Crown point, or red cloud soon due to the age of these lifts but also make the area more uniformed with main areas with quads not triples, Viking and Judge will stay triples, heck judge came a triple, thought Viking is starting to show its age as well. Burns an snowflake will stay doubles, but burns is really showing its age now this past winter and was down for 2 weeks due to mechanical issues. I not sure what broke but it was major. They could’ve relocated Deer Crest to replace Red Cloud but they sold it off instead and it ended up at Crystal Mountain. Length would’ve matched pretty well. If Homestake is going detachable, then Red Cloud probably will as well since it’s longer. Mayflower will eventually be replaced as was stated earlier as part of the expansion. Deer Valley wants to build a crazy amount of lifts which will cost lots of money, but what’s going to happen with all the other Alterra resorts? I hope they aren’t going to siphon money off of the other resorts to spend at DV (which is already sitting pretty compared to some of the others). Since DV isn’t unlimited on the Ikon Pass, they have their own pass that they sell and that money is really DV’s, not Alterra’s. 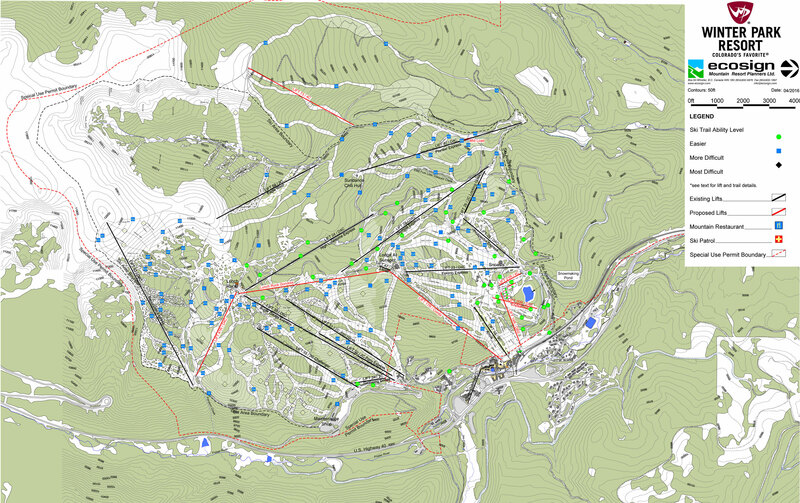 Of the Western resorts, they seem to have quite a bit planned for Squaw/Alpine and Steamboat. Yet Winter Park, Mammoth, and June don’t appear to have much planned and Winter Park and June especially need some love. In the east, they’re finally upgrading Snow Bowl at Stratton which Intrawest promised for years and never did. But they still need to do something about Kidderbrook so that there isn’t such a big portion of the mountain that requires an atrocious runout and two lifts to lap. Tremblant is upgrading Lowell Thomas which was long overdue, but they’re still rockin’ the 1988 CLD-260 (which was down for 2 or 3 weeks towards the end of this season). The 1991 first-gen UNI Duncan Express always seemed like it needed to be bigger, but maybe the Lowell Thomas upgrade can put that off for a bit. The three resorts that you mentioned all have plans to one degree or another. There’s been years of talks at June about J1 being upgraded. This is mainly contingent on their ability to find water for snow making. Rusty Gregory (the ex-Mammoth CEO) runs Alterra now, so I’d expect his plans for June (and Mammoth) to remain the same. As for Mammoth, Peter did a pretty good write up on the issue (https://liftblog.com/2017/07/10/mapping-mammoths-next-new-lifts/). Rusty gave a talk in 2017 saying that Mammoth is going to prioritize development on the Eagle Lodge side of things. This means that they’re looking to build a permanent lodge, realign and upgrade chair 25 to a high-speed quad, and upgrade and extend chair 15 (Eagle Express). 15 was actually built as a gondola, which means that they simply have to put cabins on the line if they want to convert it. They intend to do this, and to build a second stage to the top of chair 5 (High-Five Express). A tram will be built from here to the summit, giving Eagle direct access to the summit. Winter park has a pre-Alterra master plan (https://skimap.org/data/503/2200/1493249149.jpg), but I’m not sure about its validity. It seems that they’re going through with the Zephyr upgrade, so we’ll see in time if the eventually decide to build the second stage. I think its becuase they ask for advice on improvements and have suggestion boxes all over the lodges that they stay #1. Case in point, a friend of my family went to the customer service desk and complained that they use ot serve 3 soups at lunch and now its 2 with a baked potato as the 3rd option, the next day there where 3 soups and stayed that way for the rest of the season. If the customer is not happy they try and fix it as best they can, best way to stay #1. I think this response is a bit uncalled for. I don’t think any of us are trying to make DV’s master plan for them. And clearly they would’ve designed it based on what customers want as was stated earlier. Skiing Stig wasn’t trying to equate the soup problem to a multi-million dollar master plan. It’s just an example of how DV responds to customer feedback. I have learned a lot from this thread that started as a bunch of people (including me) taking shots at Alterra for “wasting money” on this. If I, among the others just “kept my mouth shut” like you want, I would’ve never learned and just gone on thinking the same thing. I appreciate Peter’s time and effort that he took to make this site, which allows the lift community to come together and share their ideas on various happenings in the industry. Who would’ve thought the announcement of a less than 2000 foot detachable would create so much discussion. I’d say that this whole fight is because the detachable is less that 2000′. If DV were starting on the expansion, or just upgrading Mayflower, or even upgrading Red Cloud, then while we at Mammoth would still be a bit uppity about a lack of investment (no new lifts since 2011), we’d understand the reasoning behind it. Upgrading an 1800′ quad, though, makes us feel completely neglected, when we deal with regular 20+ minute lines at our major lifts. I’d compare it to the situation on the other side of Park City, where Vail’s chosen to upgrade High Meadow over any of the upgrades on that mountain that are actually needed. Meanwhile, they’re not even willing to pay to upgrade Galaxy at Heavenly to a detachable, and are putting in a triple. Tomas Jett, I feel your pain and agree with you that it’s a discussion and not going to change the world, and I also think Peter has done a fabulous job of running this site, and allow people to learn more about the industry as a whole then what was possible before. I also feel your pain on upgrades to resorts, and would also feel slighted if I found out a short lift was being upgraded, versus some more noteworthy ones in the fleet of Alterra….I had this issue at a local (bs private) resort that clams no lift lines and makes the membership pay for a HSQ but does nothing but spend assessment monies on bs land grabs that will never come to fruition. Hence I have more (and I’m not kidding) to the next resort in the same time (not in Utah or the west at all but in the little aspen or the east), and ski more runs and happier skiing with people who talk to you as a neighbor then crust of bs. In short Mike turkey, I agree soup is easy but you miss the point people make a difference at DV, but the point was to discuss a topic, knowing full well that if anything was going to come of it, is people from different backgrounds would enjoy a time of blowing steam and hopefully learning something new about a topic that maybe they didn’t know before. Hope to have another lively topic to joust with you mike in the future. The ex-Intrawest resorts have gotten pretty much nothing for the last 10 years minimum with the only exception being Steamboat. They are so far behind in terms of upgrades that Alterra is really going to have their work cut out for them. The three lifts that were announced back in March are a step in the right direction, but it’s only the tip of the iceberg in terms of what is really needed to make up for all those years with zero lift investment. They decided to build the two lifts in the east to throw those customers a bone after they killed the very popular Max Pass, raised local pass prices a lot, and cut out discounted options (like midweek and sunday pass at Stratton). They can’t expect Stratton skiers to pay 900 dollars to ski there while a pass to any of the western resorts (except DV and Steamboat) is effectively 600 dollars and not invest in them given their customers are paying way more to ski at a smaller mountain. The same thing applies to DV. They aren’t unlimited on either Ikon Pass variant and a local pass at early pricing is over 2000 dollars. So as I mentioned earlier, that stream of revenue is really DV’s and DV’s only. I’m fine with them building a lift every year if they can do it with that revenue without siphoning off of the other resorts. It will be interesting to see the direction that Alterra goes in with lifts in 2019 and future years. Will they continue to catch up with two eastern resorts or was that a one and done? Will they continue to build up Winter Park to the level of the nearby I-70 resorts? Will Squaw/Alpine be connected? Will Mammoth/June and Steamboat complete their long awaited master plans? At that I agree wholeheartedly!!!!!! No that was a typeo/auto correct on my part mike my apologies, I didn’t even notice it until you just pointed it out. No I look forward to future discussions at any time with you. It is Deer Valley’s desicion to replace the lift or not. Current short lifts (Burns, Snowflake) need an upgrade. Currently the old Homestake lift is being demolished with the tension terminal being dismantled. A better solution is to make this short detachable run 800 fpm to ensure unique views of Homesites and Silver Lake Village. For the 3S gondola plan you were hoping for, I strongly disagree because Deer Valley has enough capacity for Judge/Viking to get to Silver Lake and also it be way too short of a large lift. Mayflower and Red cloud don’t need a replacement because hardly any people ride it. You are saying the current Homestake is being demolished. Does that mean it’s being scrapped? I would think a lot of other ski areas would be interested in a 1999 fixed grip.